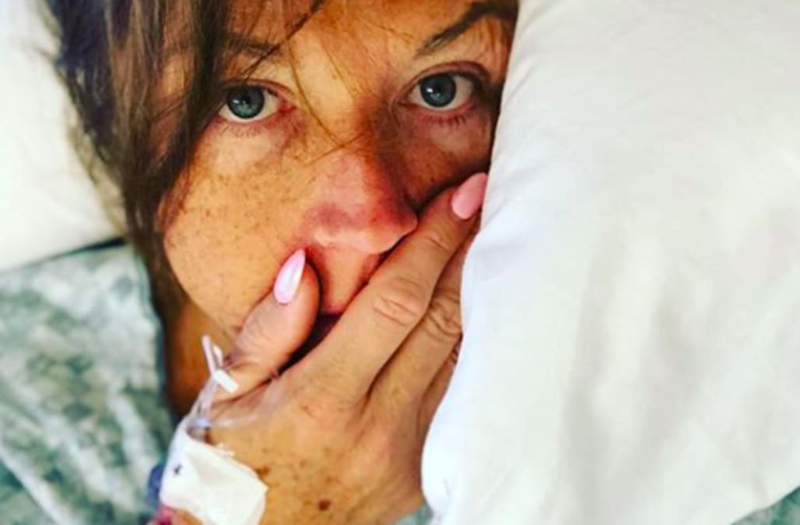 Abby Lee Millershared a pic from her hospital bed on Saturday, April 21, four days after having emergency spinal surgery. “So much gratitude and love for those who listened, those who looked deeper and those who leapt into action,” she captioned a photo on Instagram that showed her wearing a hospital gown and holding a hand over her mouth, with an IV drip near her wrist. “So much more I wish I could say……about how quickly your life can change at the hands of others.” She added her thanks for fans’ prayers and love. As previously reported, the Dance Moms star, 51, underwent surgery almost a week after being hospitalized for back pain. Doctors believed that she had an infection in her spine and needed to have an urgent procedure in order to avoid being paralyzed. Two days after her surgery Us Weekly confirmed that the reality TV star had been diagnosed with non-Hodgkin’s lymphoma, a cancer that starts in the lymphatic system. “Abby is devastated but is strong and trying to put on a brave face,” the source said. Miller remained at the hospital as the medical staff determined her course of treatment. “She will make it through this,” the insider added. The dance instructor had been staying in a halfway house after her early release from prison at the end of March. She had been locked up after being found guilty of bankruptcy fraud in May last year and served eight months of her one-year sentence. Meet the ‘DWTS’ season 26 cast: Full list!